Traditional money transfer operators are benefiting from their much-delayed expansion into digital payments, says Juniper. 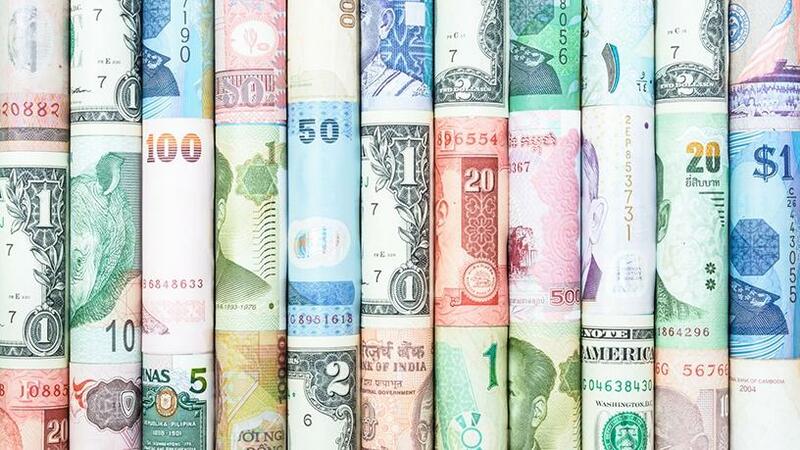 International digital peer-to-peer remittances conducted via mobile and online platforms will exceed $300 billion globally by 2021, up from an estimated $225 billion in 2018, says a new study from Juniper Research. The report titled Digital Money Transfer & Remittances: Domestic & International Markets 2018-2022, estimates that total international remittances via formal channels will exceed $600 billion in 2018. This means that international remittances conducted via mobile and online services will be 36% of formal remittance by value in 2018, growing to 44% by the end of 2021, it says. The World Bank estimates that global remittances will grow by 3.4% to $616 billion in 2018.Sub-Saharan Africa, with an average cost of 9.1%, remains the highest-cost region, it says. Global money transfer company Xpress Money, says various African countries rely heavily on remittances to maintain their national gross domestic product. It notes remittances are the continent's second-largest source of foreign inflows after foreign direct investment. To facilitate convenient remittances, Africa has always been at the forefront of innovative payments solutions, and one of the earliest adopters of mobile wallets, it notes. While the region is witnessing a regular growth in remittances, the costs, compared to the rest of the world, remain high, it notes. Fadzai Deda, best practices research analyst for Frost & Sullivan, says SA is ranked the most expensive African country from which to send money, resulting in migrants opting for informal channels to send remittances. The transaction value for remittances in SA is expected to show a compound annual growth rate of 27.7% for the period of 2018 to 2022, resulting in the total amount of $2.6 million in 2022, says Statista. The number of users is expected to amount to 4 million in the same period - with the average transaction value per user amounting to $273, it adds. Deda says international remittances present a growing opportunity for mobile money service providers as their business models allow them to offer remittance services more cost-effectively than mainstream money transfer operators (MTOs). The emergence of digital remittance providers in the country offers people reliable and cheaper alternatives that facilitate low-value transactions, which are not viable through MTOs, she says. Deda points out in recent years, the remittances market has been disrupted by the expanding application of mobile technology and the growing availability of broadband networks. Emerging fintechs such as such as Mukuru and MamaMoney, popular for sending money from South Africa to neighbouring countries, are taking advantage of the pervasiveness of mobile, she adds. Technology providers like MFS Africa and TerraPay are also playing an essential role in driving the development of digital remittances on the continent, says Deda. Increasing smartphone penetration will drive the volume of online remittance services that enable the transfer of remittances to mobile money wallets, notes Deda. In time, it is expected that there will be a range of partnerships between MTOs, mobile money wallet providers and online money transfer providers, she adds. The Juniper research notes that traditional money transfer operators are expanding their digital footprint and benefiting from their much-delayed expansion into digital payments. It forecasts that the combined market share for the top four money transfer operators will continue to increase over the next four years, reaching 39% of total formal remittances by 2022. Meanwhile, digital-only challenger players such as TransferWise and Xoom are witnessing slow, but increasing market share and revenue growth, says Juniper. The report expects combined market share of these digital disruptors, in terms of formal remittance transactions processed, will increase from 2.5% in 2015 to 12% in 2018. The Juniper also predicts blockchain will have a significant role to play in the future evolution of transaction settlement solutions, with almost one in three of the proposed use cases for blockchain revolving around settlement and payments. Sudhesh Giriyan, COO for Xpress Money, says countries like Nigeria are opening doors to blockchain technology to better various aspects of governance and business, including remittances. "The adoption of technology will surely bring a whole new era of inclusion to the previously unreachable population. The next few years are going to be interesting."